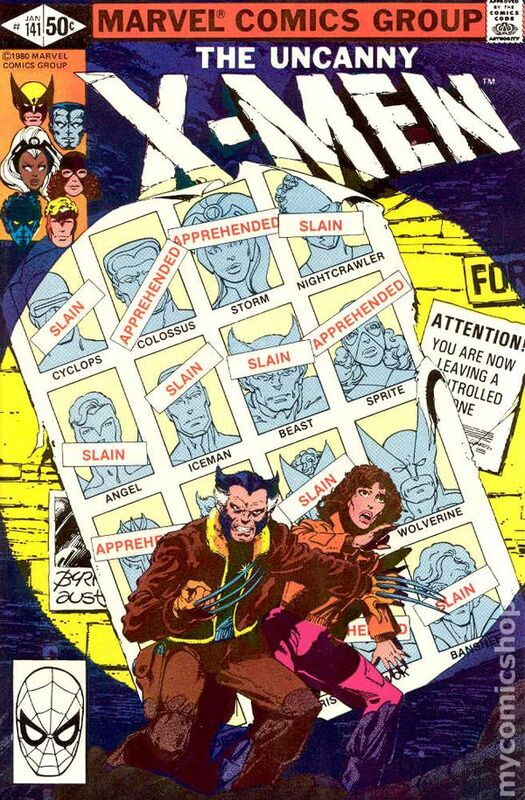 Below you will find a listing of major events in X-Men. 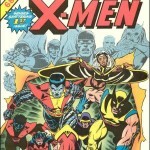 This list will help you get up to date on how the X-Men got where they are today and how they came to be. 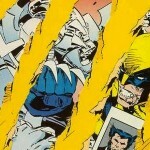 This list has been created in anticipation of the upcoming “All-New X-Men” series, which has a special focus on the evolution of the X-Men, as the original five X-Men are plucked from time to help deal with how their future went off the rails. 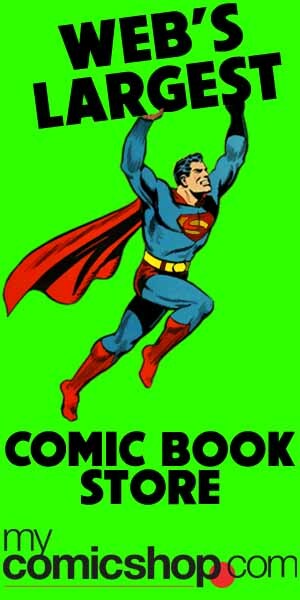 The dates listed below are in relation comics published this year (2012) are current, extrapolating from that point using Marvel’s loose 3-or-4-years-to-one rule. 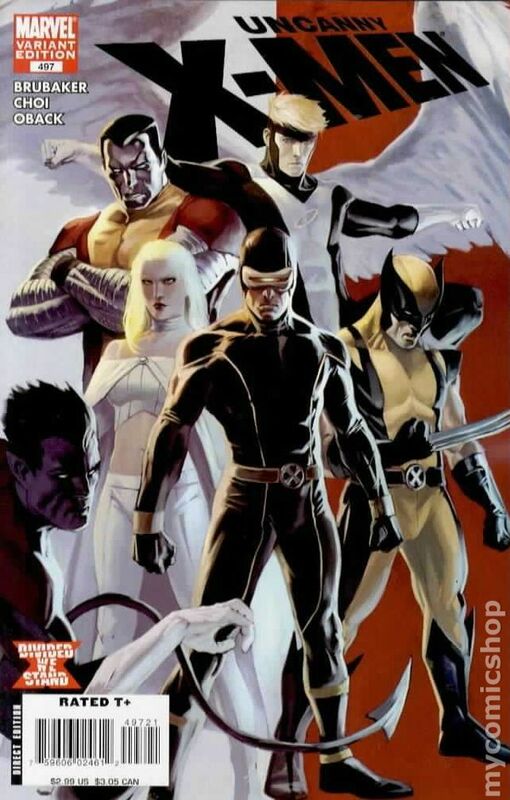 Cyclops, Marvel Girl, Beast, Iceman and Angel are assembled under the professorship of Charles Xavier to learn to use their mutant powers for good against threat of evil mutants like Magneto while protecting the humans that hate and fear them. During All-New X-Men, the original 5 X-Men are plucked from their time into the future. 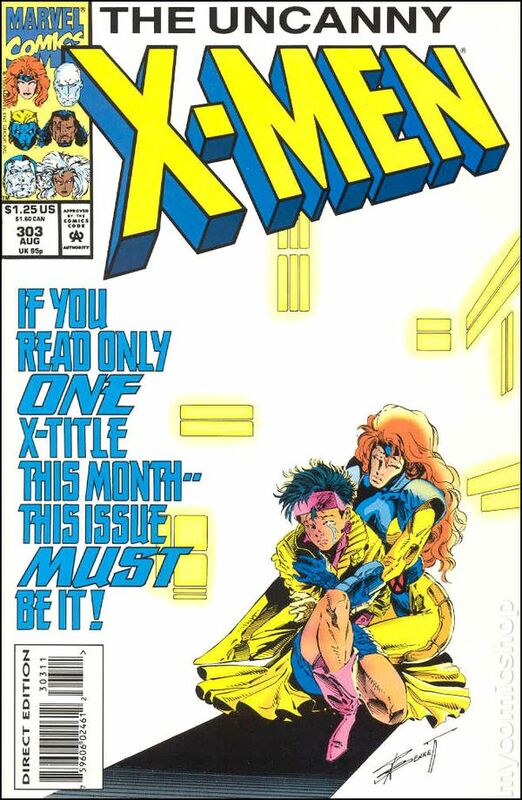 At this point, there are two timelines in existence; one where the X-Men continue their adventures, and one where they meet there future selves. 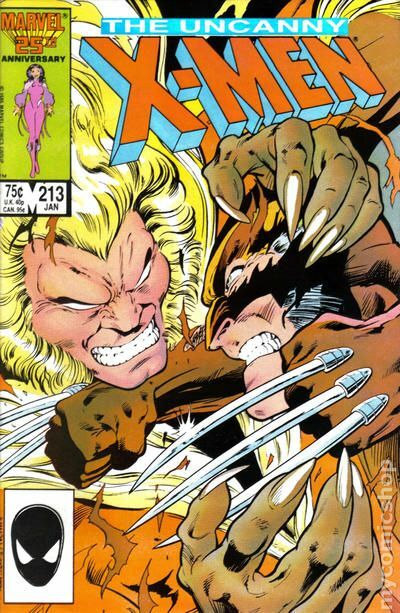 This event occurs during Uncanny X-Men #8. Xavier recruits a new, international X-Men team of Wolverine, Colossus, Storm, Nighcrawler, Sunfire, Thunderbird and Banshee to rescue the original X-Men, which now includes Havok and Polaris, with the guidance of Cyclops. Helping land a crashing shuttle after an adventure in space, Jean Grey “dies”, only to reborn as the Phoenix. She begins to display more power and an altered personality thereafter. 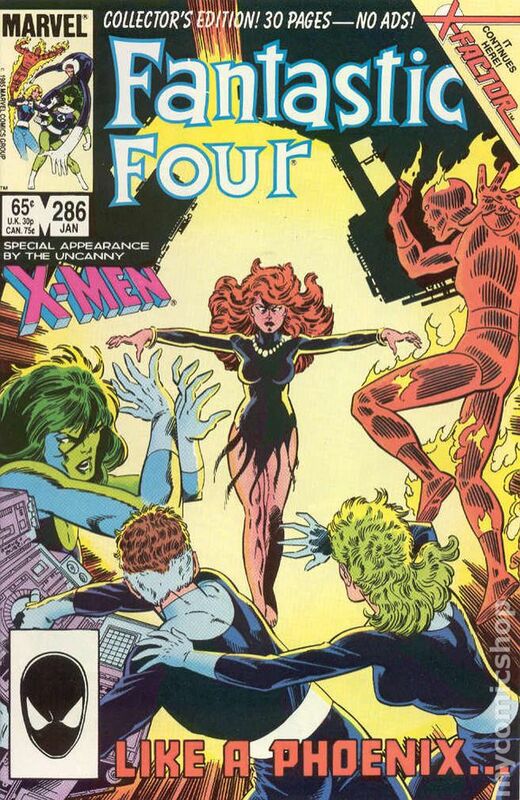 During the Dark Phoenix Saga, Jean Grey loses control of the Phoenix Force and destroys an entire planet. 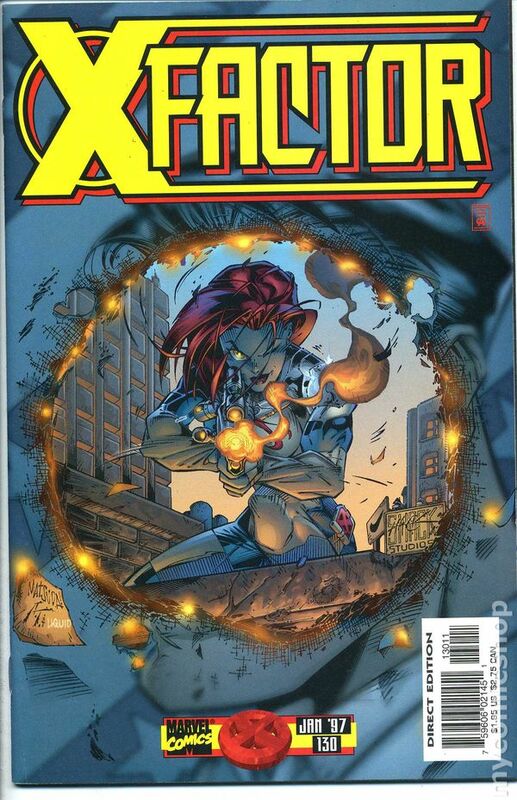 The Shi’ar, an alien race with close ties to the X-Men, demand the Phoenix be dealt with, and Jean Grey decides to sacrifice herself. 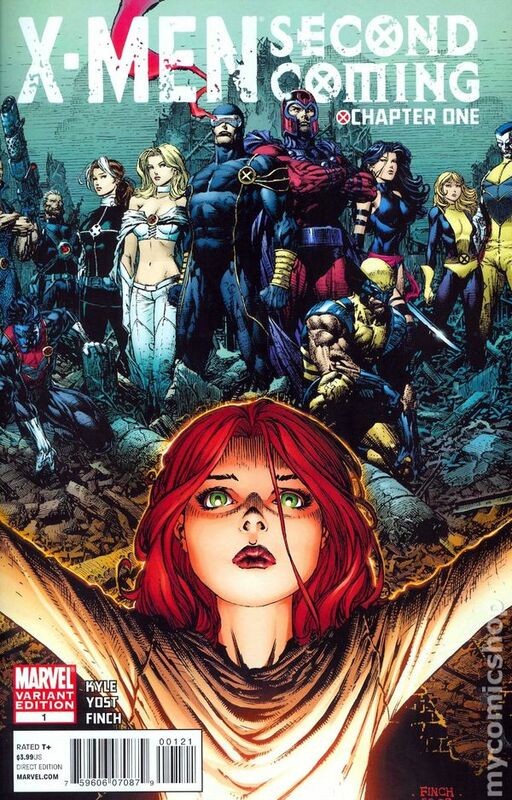 Kitty Pryde joins the team as Cyclops exits. 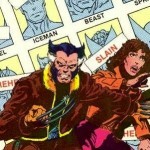 In “Days of Future Past”, the X-Men meet a Kitty Pryde from the future, who comes to the present to change the events that would lead to Mutants being hunted down. 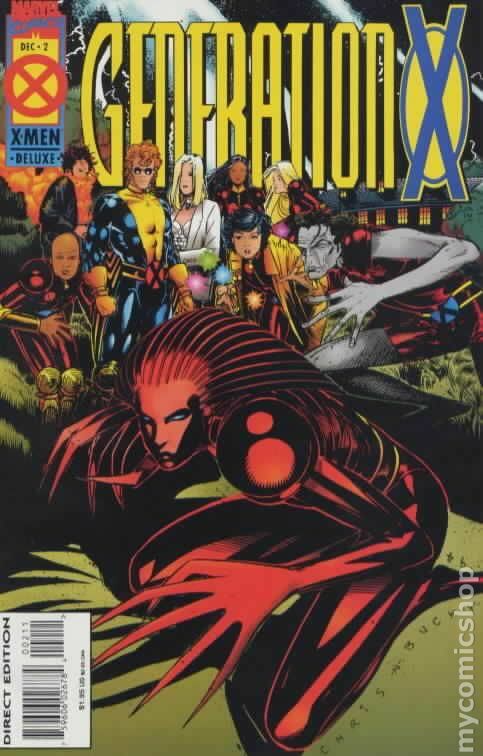 With the X-Men though dead in space during a battle with the Brood, Xavier seeks out new mutants to train. This latest breed of students named the New Mutants are Cannonball, Mirage/Dani Moonstar, Karma, Wolfsbane and Sunspot. 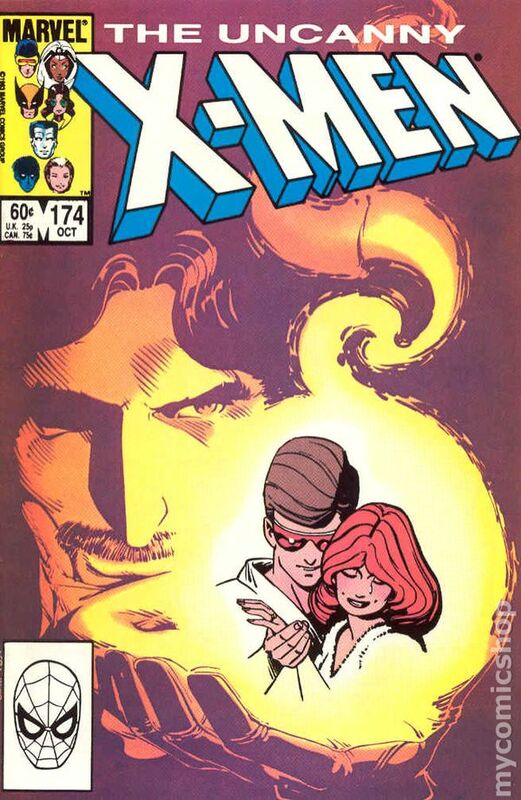 In this short period, Cyclops meets and then marries Madelyne Pryor, who is a spitting image of Jean Grey. In the meantime, we meet the Morlocks, a group of disfigured mutants exiled in New York’s sewers, who adopt Storm as leader. Rogue joins the X-Men. Xavier, suffering form life-threatening injuries, is exiled with the Sh’iar and hands over the school to Magneto, who is recently acquitted of his crimes. Storm replaces Cyclops as leader, just as his son, Nathan, is born. 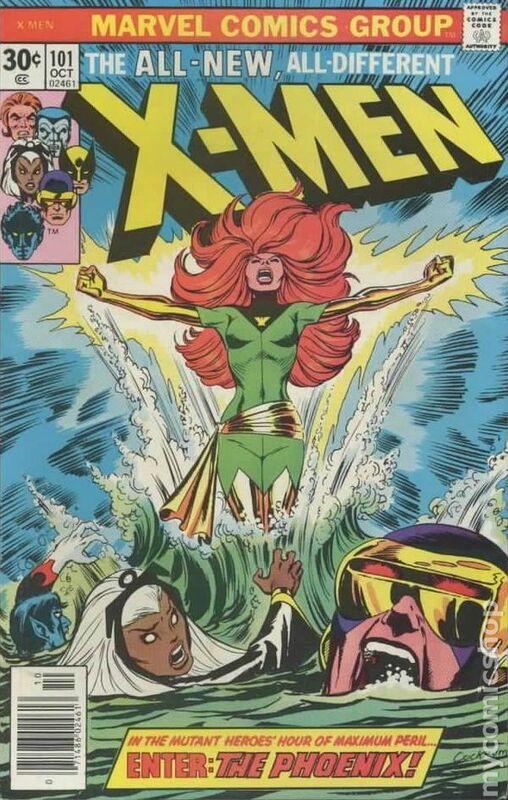 Jean Grey is discover, as it is explained that the Phoenix Force had replaced her, keeping her safe to heal after the event of Uncanny X-Men #101. 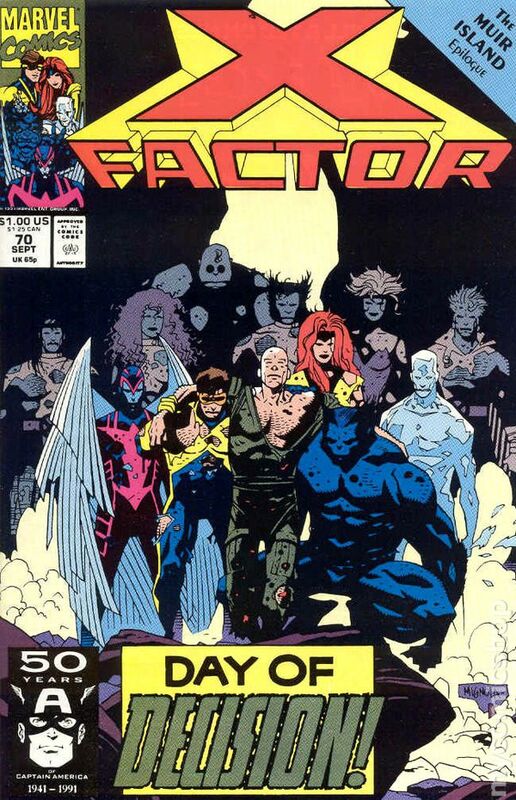 The original five X-Men form X-Factor, as Cyclops abandons his with wife and son. Sinister has his Marauders kill most of the Morlocks. Many X-Men are injured, which leads Kitty and Nightcrawler to leave to heal at the Muir Island facility and eventually form Excalibur. The Fall of the Mutants event sees increased stress on mutants, as Apocalypse, a new foe, turns Angel bad as he gains metal wings and blue skin. 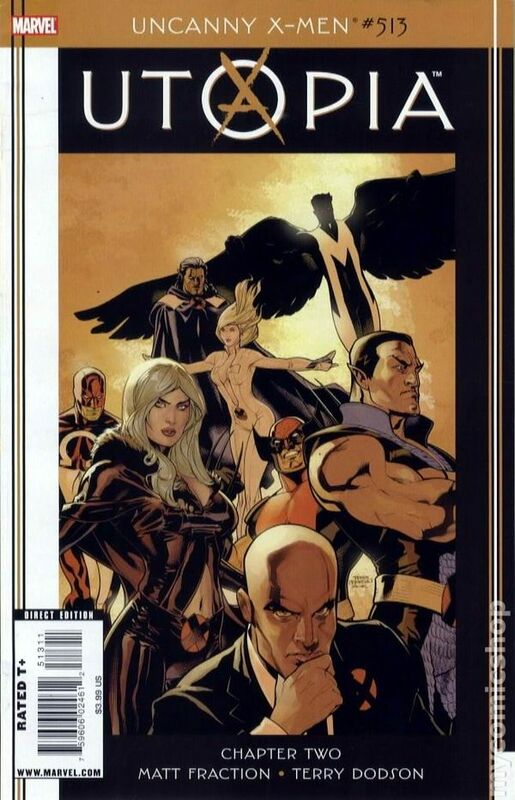 The X-Men, now consisting of Storm, Wolverine, Colossus, and recently joined Dazzler, Longshot, Psylocke and Havok, get an opportunity to fake their death, and find a new base in the Australian Outback. A student, Doug Ramsey, is killed in battle with his fellow New Mutants. Madelyne Pryor becomes the Goblin Queen, and attempts to take revenge on Cyclops for leaving (though he believed her dead, along with the other other X-Men). 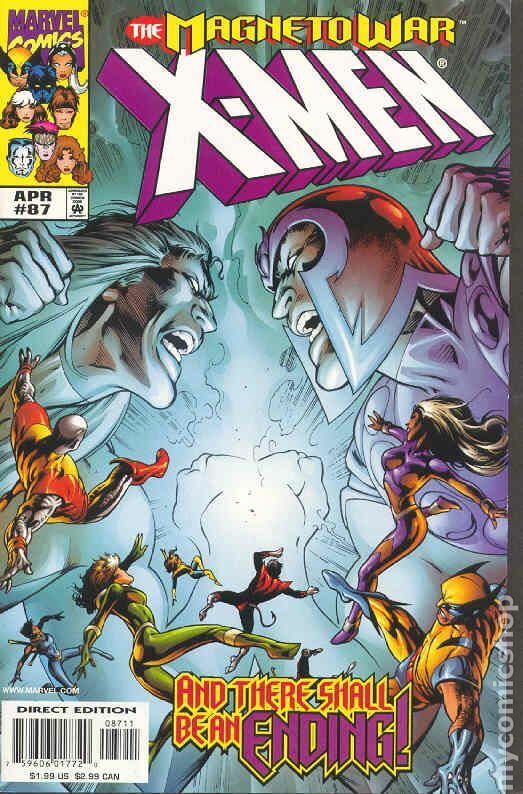 After a heated battles as New York slowly turns into a demon world, the X-Men defeat Sinister and the Goblin Queen, and Nathan reverts to Cyclops to be raised. Cable, a man eventually revealed to be from the future with a mission to kill the future ruler Apocalypse, takes the New Mutants under their wing, after Magneto defects. 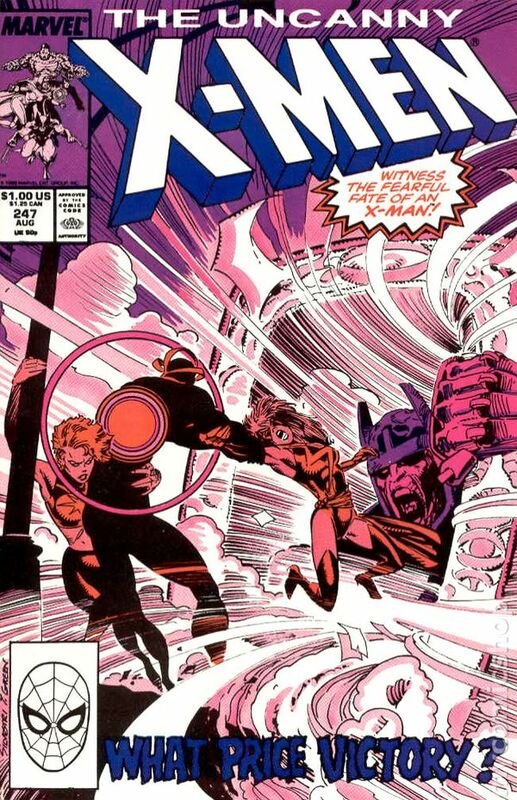 Risking their composure by entering the Siege Perilous portal, the X-Men are scattered. Storm is de-aged and meets with Gambit, while Psylocke is merged with an assassin named Kwannon and Rogue is sent to the Savage Land. 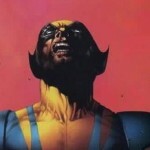 Wolverine picks up a new mutant, Jubilee, as he travels to regroup the X-Men. Masterminded by X-Factor’s traitorous administrator Cameron Hodge, Genosha, an island nation in Africa, has enslaved mutants and their manufactured “mutates” to maintain their economic edge. 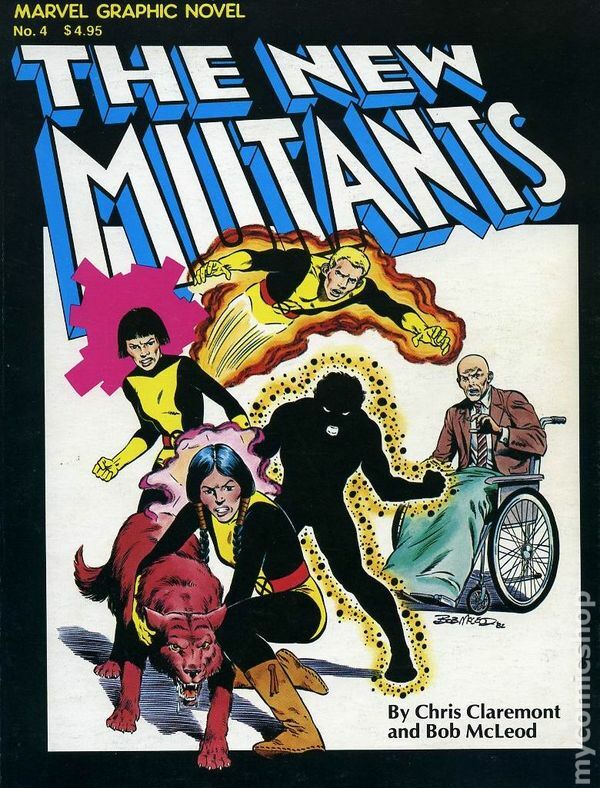 X-Men, New Mutants and X-Factor intervene, and Warlock of the New Mutants is one of the unfortunate ones to not make it out alive of “X-Tinction Agenda”. In “Endgame”, Apocalypse kidnaps Nathan Summers and infects him with a techno-organic virus. To save his son, Cyclops allows the Askani to take him to the future to help him survive the virus. During the “Muir Island Saga”, the Shadow King, a telepathic being with a past history with Xavier, takes over the minds of those at the Muir Island facility. 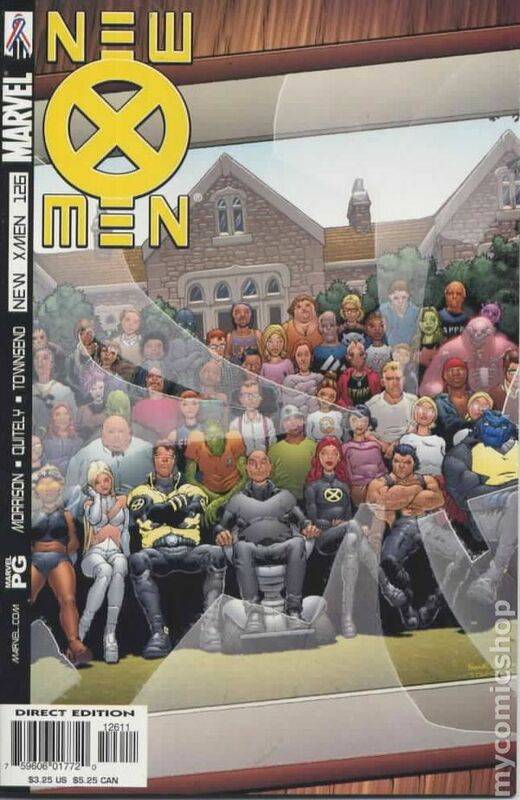 Xavier returns from his healing in space and unites X-Factor, the New Mutants and the X-Men against his old foe. The aftermath sees the original five return to the X-Men and form two teams, the Gold team and Blue team. Other X-Men form the new government backed X-Factor, lead by Havok and includes Polaris, Strong Guy, Wolfsbane, Madrox and Quicksilver. Cable turns the New Mutants into a strike force called X-Force. 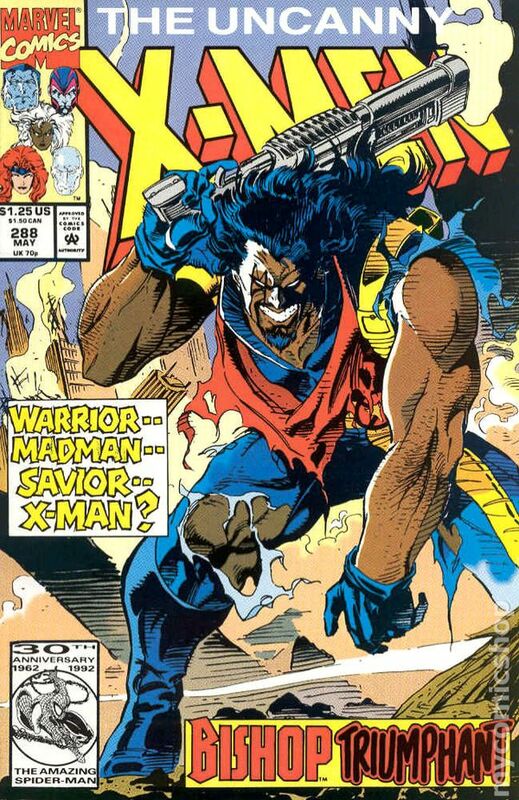 Bishop, a mutant from a future where mutants rule and are policed by the Xavier Security Enforcers (X.S.E.). He is chasing a mutant from his future, who ends up killing most of the Hellions, Emma Frost’s New Mutants counterparts. Frost herself is injured and placed in a coma. He joins the X-Men, and reveals that in his future a traitor destroys the X-Men and that he believes it is the new X-Man Gambit. 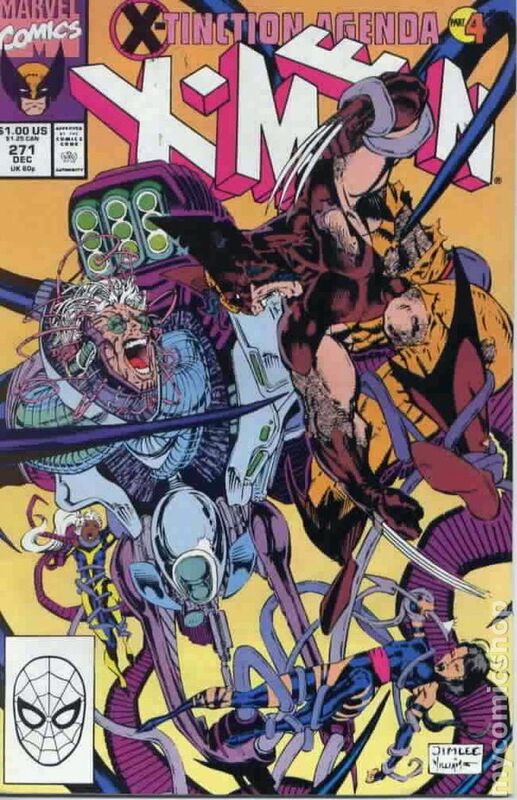 Stryfe frames Cable for the attempted assassination of Xavier, infecting him with the Techno-Organic Virus. 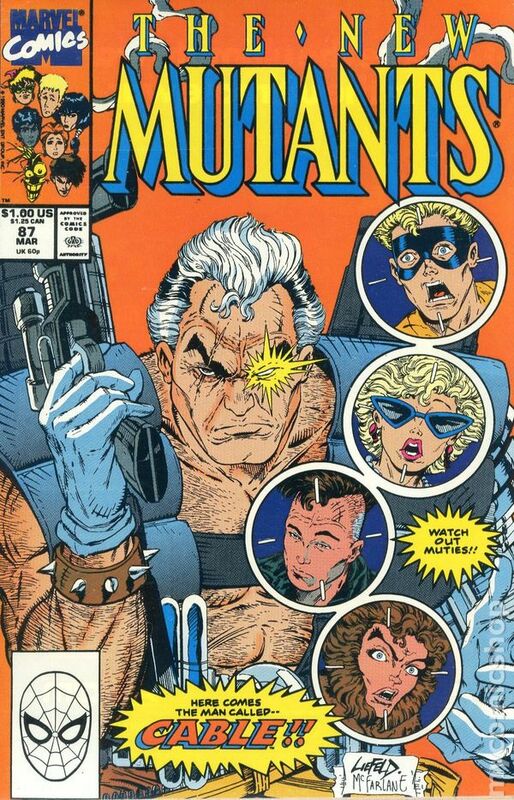 It is strongly hinted that Cable is Nathan Summers, returned from the future, and Stryfe is his clone. 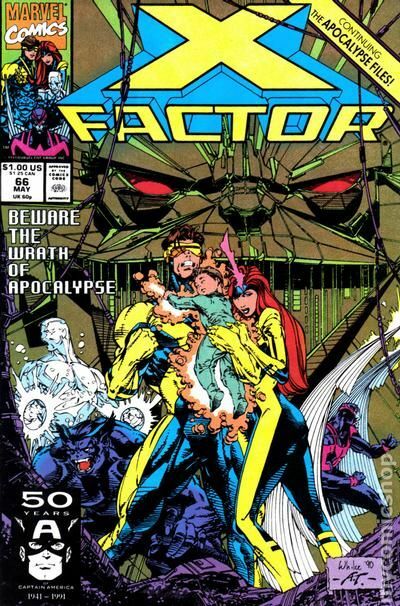 At the end of “X-Cutioner’s Song”, Xavier is saved, but the Legacy Virus, a deadly virus affecting only mutants, is released by Stryfe. 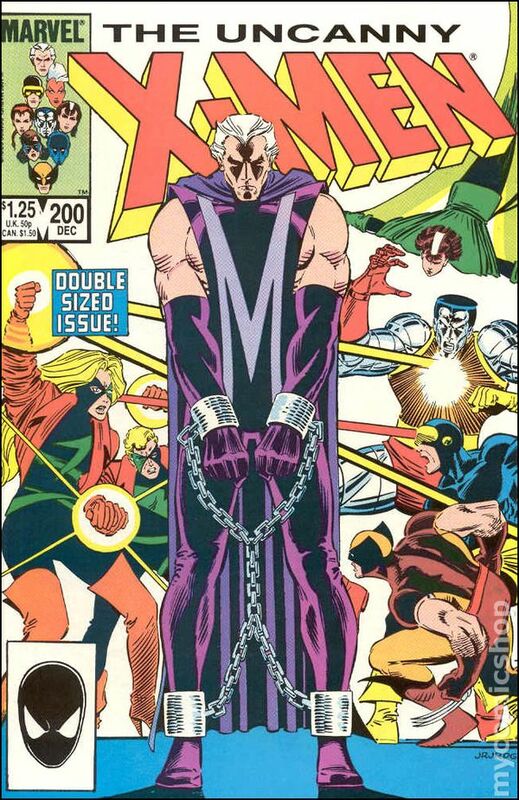 in “Fatal Attractions”, Magneto is goaded into returning to his roots by a new set of followers, the Acolytes. 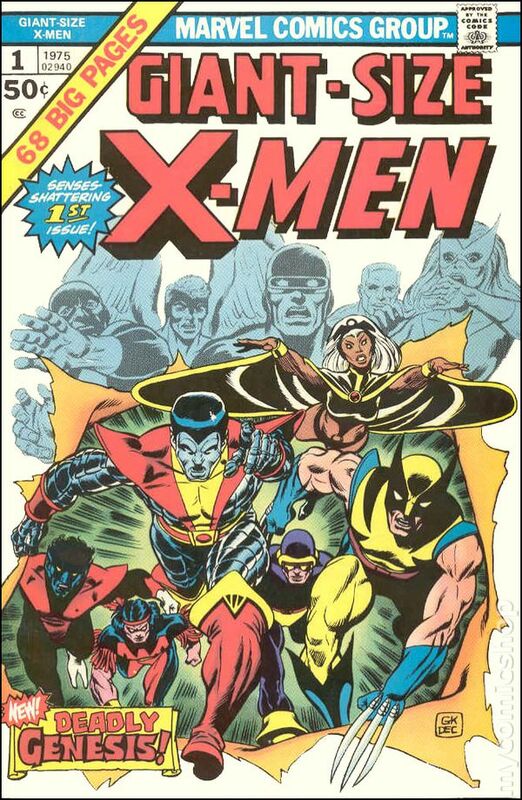 After Colossus defects to Magneto following the death of his to the Legacy Virus, the X-Men confront Magneto. Magneto pulls all the metal from Wolverine’s bones, resulting in Xavier completely wiping Magneto’s mind. 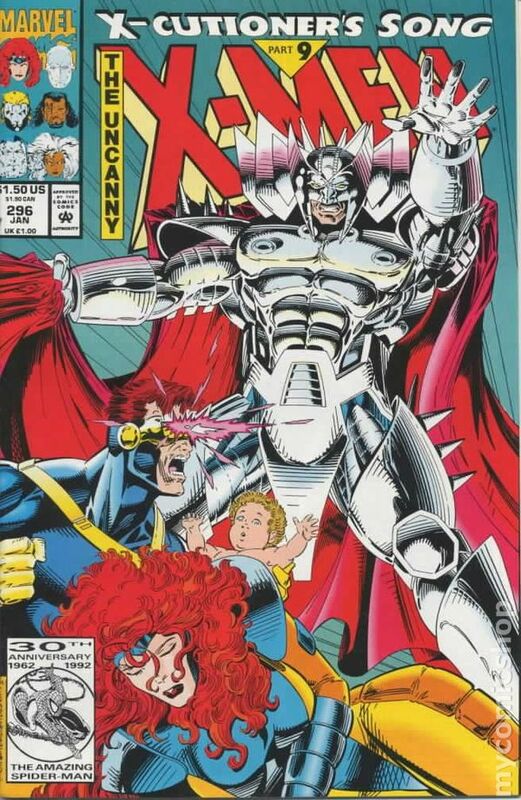 In a confrontation with Stryfe, Cyclops and Jean Grey learn that Cable is in fact Nathan Christopher Charles Summers, his son with Madelyne Pryor. The Phalanx, a race of techno-organic beings, kidnap a group of next generation mutants, as well as the X-Men. Banshee, Sabretooth and a newly awakened Emma Frost track them down and save them. 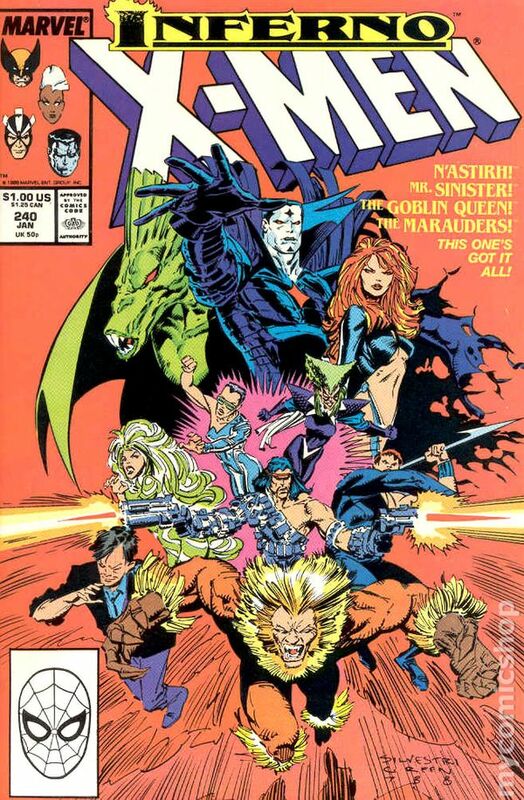 Frost and Banshee become headmasters of the new School for Gifted Youngsters, who take on the team name “Generation X”. Legion, Xavier’s son, goes back in time to kill Magneto, but ends up killing his own father, thus creating a new dystopian timeline where mutants rule under the dictatorship of Apocalypse. Bishop, the already time-displaced X-Man, remains unchanged in this timeline, helping the new X-Men to revert what was undone. Some manage to travel back to the original timeline, such as that timeline’s Nathan Grey (Cable), a villanous Beast and other new villains. 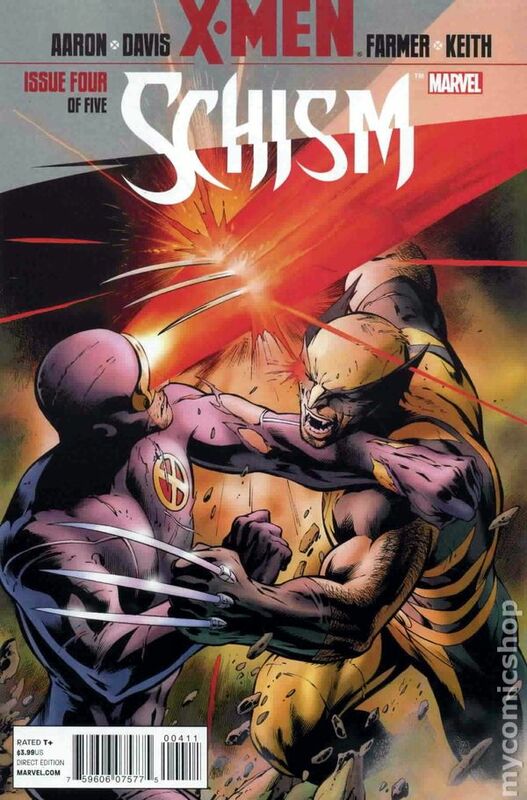 Onslaught a psychic construct of the merged minds of Magneto and Xavier attacks the X-Men and world. Rogue, after a hiatus from the team after having pulled some of Gambit’s memories, returns to the X-Men with a younger Magneto. 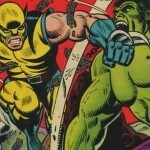 The Fantastic Four and Avengers are killed defeating Onslaught. Xavier is placed in prison following his return to form. Graydon Creed, Sabretooth and Mystique’s son, campaigns as an anti-muntant president. He is assassinated, which leads to the government launching Operation: Zero Tolerance. Bastion, the head of the operation, sends out Sentinels to capture mutants, notably the X-Men. 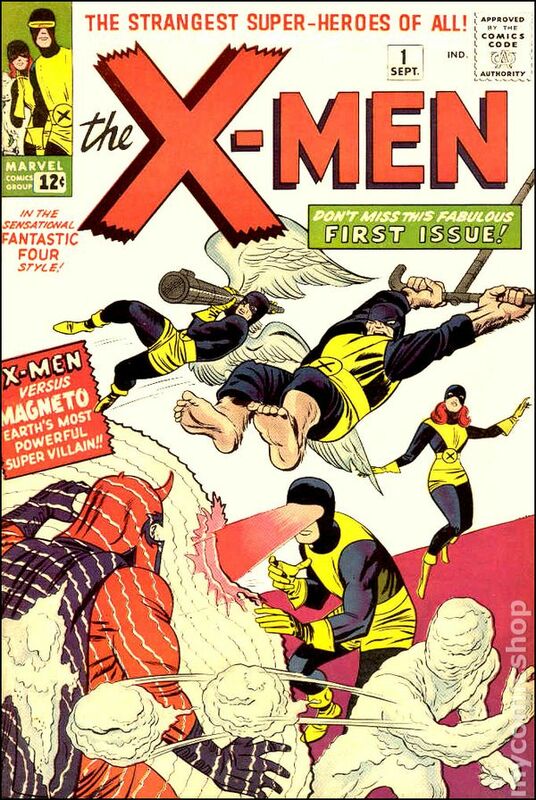 Meanwhile, the X-Men returning from space are captured in Magneto’s old antarctic base, where it is revealed that Gambit had assembled the Marauders for Sinister’s Mutant Massacre. Xavier returns to the X-Men after being (somewhat) freed after Operation: Zero Tolerance (See: The Hunt for Xavier). Meanwhile, it is revealed that Joseph is only a clone of Magneto, and the real Magneto shows up, along with a new set of demands. 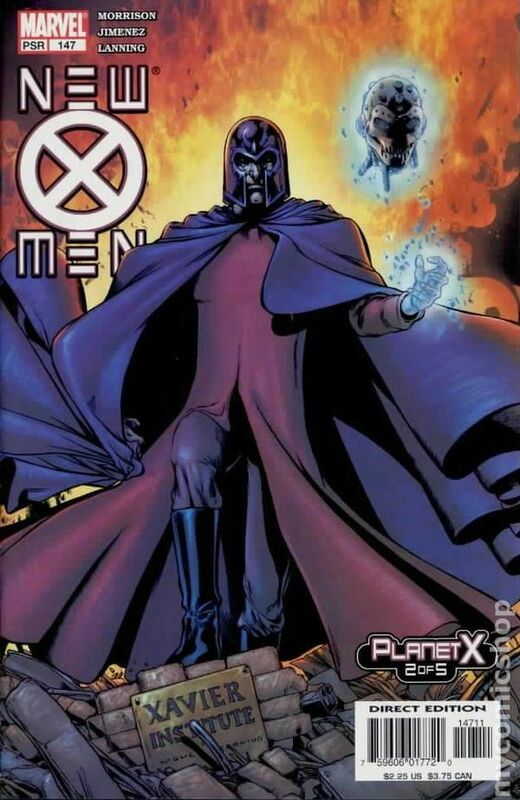 In a non-standard denouement for the “Magneto War”, the world’s leaders cede the island of Genosha to Magneto, allowing him to create his own mutant nation. 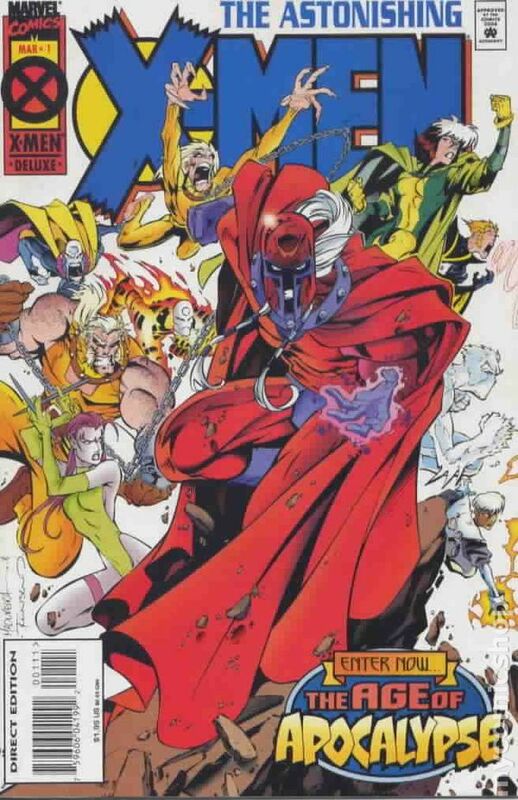 Apocalypse gathers the twelve most powerful mutants to siphon their powers. 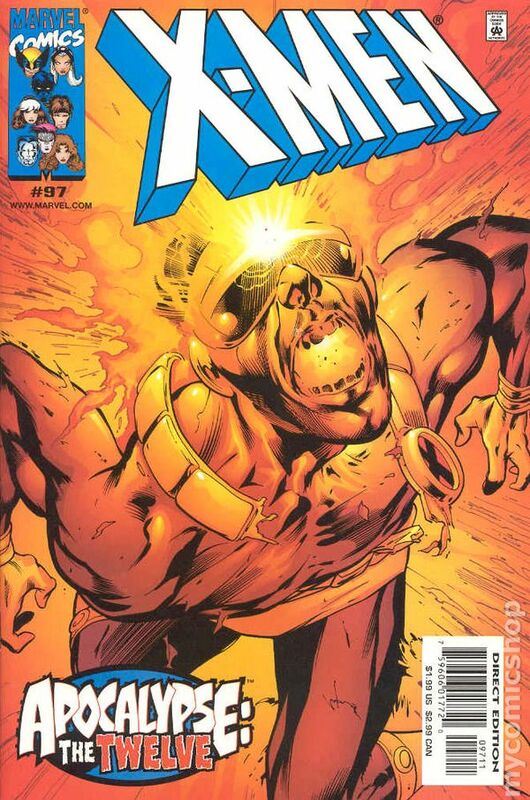 Cyclops, one of those mutants, sacrifices himself to stop Apocalypse. Cyclops is eventually found alive. 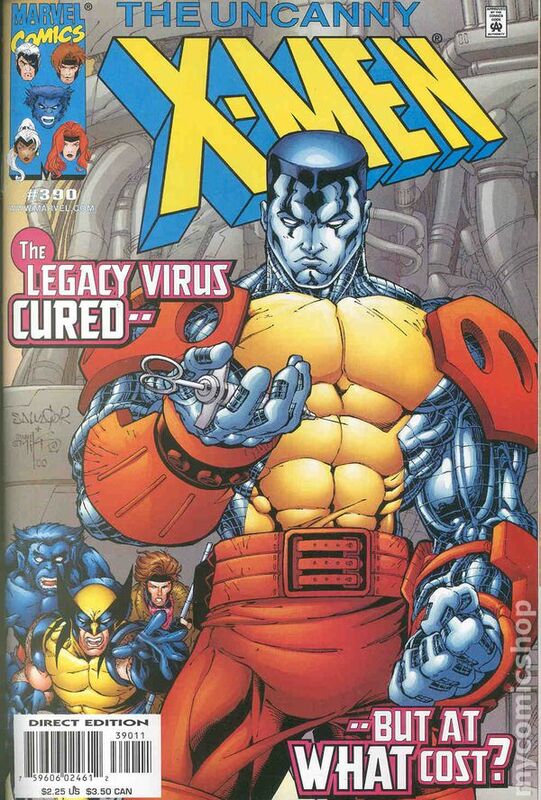 Colossus sacrifices himself in order to get a cure for the Legacy Virus. Not long after, Magneto is killed in Genosha. 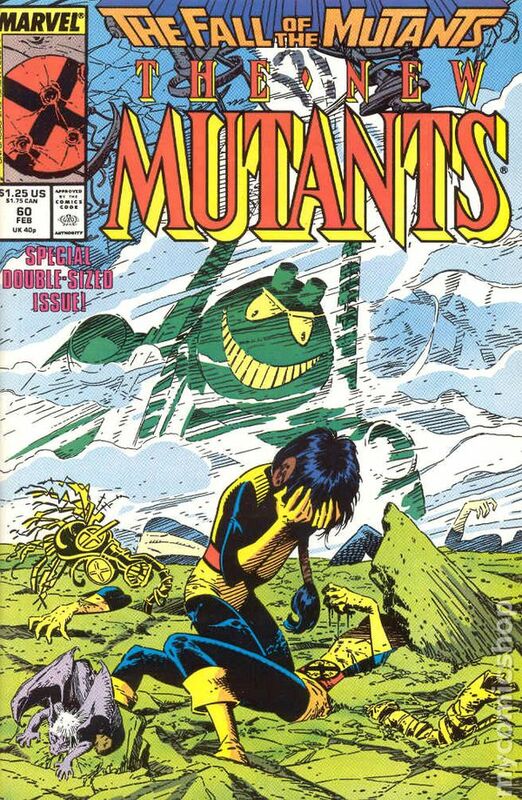 As Xavier goes public with his school for mutants, the mutant island nation of Genosha is attacked by Sentinels, with most inhabitants dying. Cassandra Nova is responsible for the attack. Xorn is recruited to aid in defeating Nova. Xorn is revealed to be Magneto in disguise, secretly using his position to put together a Brotherhood to once again take over from the humans. He is defeated, but Jean Grey is once again a victim and dies during this struggle. As she goes, she gives Cyclops her blessing to have a relationship with Emma Frost. As a new school takes in new mutants, the latest X-Men team deal with the potential for a “cure”. 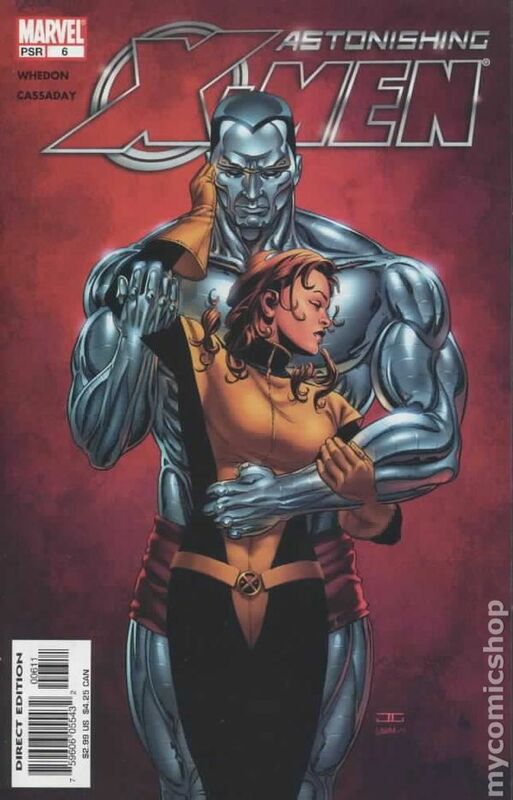 It is revealed that Colossus, still alive, was used to help develop the cure. He is reunited with Kitty Pryde and joins the team. 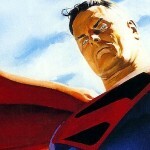 However, he loses Kitty as she is left phased in a giant bullet heading for earth. 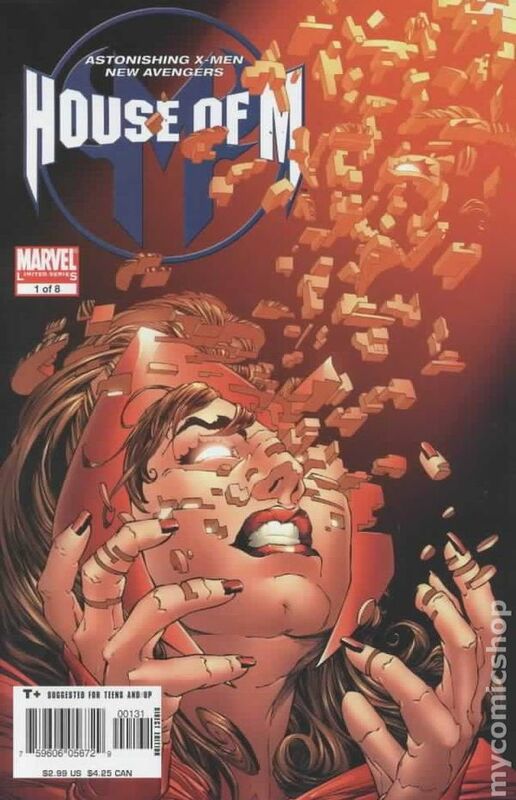 The Scarlet Witch, Magneto’s daughter, uses her powers to create a new reality with mutants in charge. After it was revealed that it was her brother Quicksilver that put her up to it, she says “No More Mutants”, and has most of Earth’s mutant population unpowered. 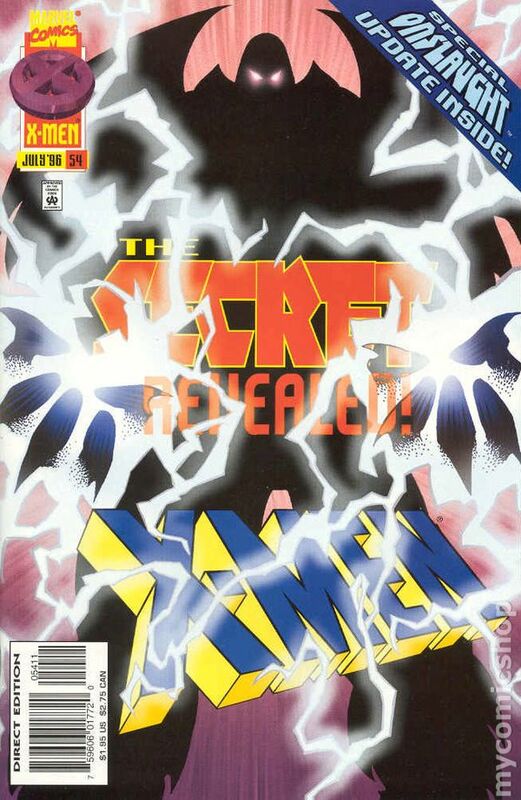 A New Mutant is born, Hope, which leads to a race to get her, from X-Men, Cable to Sinister and his team. 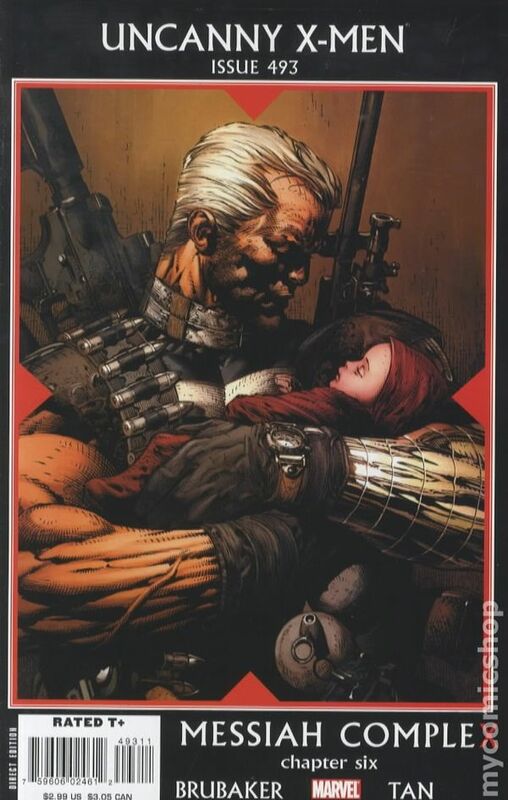 Cable takes the baby to the future, much like what happened to him. The X-Men are disbanded and reform in a new location in San Fransisco. 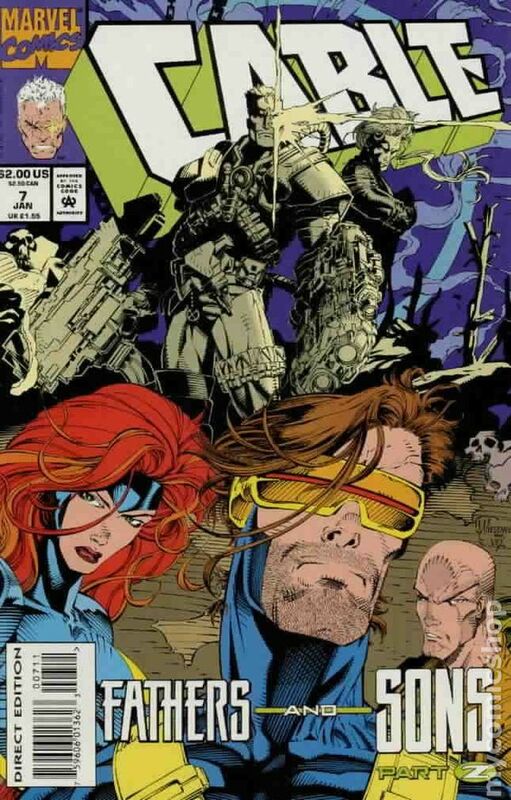 Cyclops’ X-Men build Utopia, refuge home for mutants, off the coast of San Francisco. Magneto, who has regained his powers, visits Utopia and requests to join with the X-Men. They accept his membership, though not unanimously which causes tensions between the group. Hope and Cable return from the future and become targets of the classic anti-mutant humans and Sentinel creators Bastion, Graydon Creed, Stephen Lang, Cameron Hodge and the like. New Mutants being to appear, and it is hinted that Hope might be a future host of the Phoenix Force. 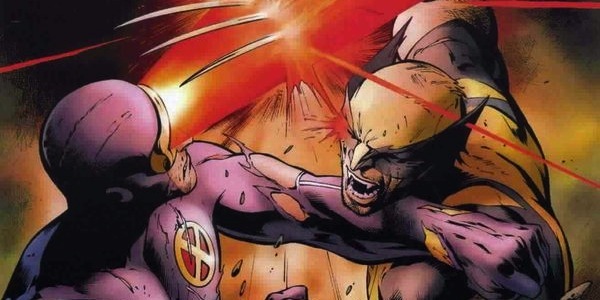 As the X-Men dispute the use of children in battle, a rift appears between Cyclops and Wolverine, as each go their separate ways with their own X-Men Team; Wolverine at a the new Jean Grey School and Cyclops on Utopia. 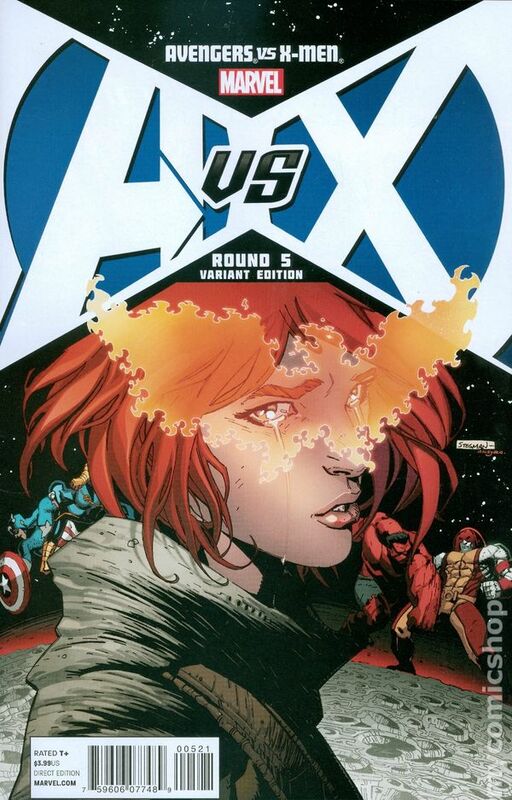 With the Phoenix Force returning, the Avengers and Cyclops’ X-Men battle over Hope. The force is splintered between 5 hosts during battle, who use the force to do good in the world. As always, the force corrupts, and the Avengers take down the final host, Cyclops, but fail to keep him from killing Xavier. Hope becomes the next host, who uses its power to return mutants to the world before banishing the force from good. 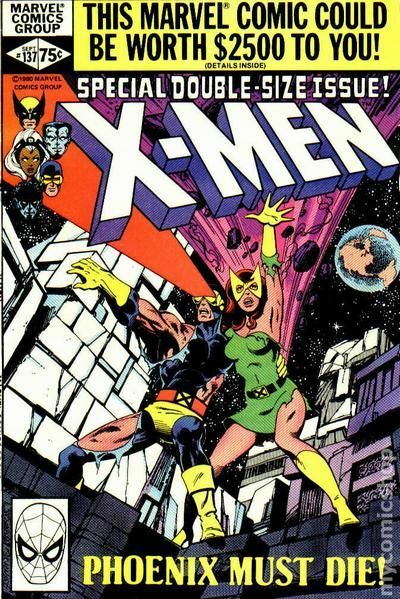 I have read AvX, the latest issue of The All-New X-men and part way through Battle of The Atom and that’s it… I have watched every single X-Men cartoon (I know it’s not 100% accurate with the comics) and I have read about many of the classic stories. However I now need to know how Jean Grey died last time and I need to know more the events just before her latest death and just after it. I was told that I would be able to comfortably start reading at AvX, providing I knew what happened in House of M (which I did… Scarlet Witch goes crazy and cuts the mutant population down to 198 (or there a bouts )) but now I have gotten to a part of Battle of The Atom where a Jean Grey from the future comes to the present day (after AvX and where the original 5 X-men are currently) however, she wears a mask that is the mask worn by her killer. I would like to know about her killer and her death. In a nut shell I need to know where I should start reading. I guessed House of M, X-Men: Messiah Complex (to explain Hope), X-men: Second Coming (the return of Hope) and X-Men: Schism (to explain the friction between half of the X-men. Will you update this post in 2017 or 2018?